Facebook may have been the helpful hand in Spotify’s huge growth across the world, but that doesn’t mean the music streamer wants to forever rely on the Facebook audience to keep traffic and revenue. 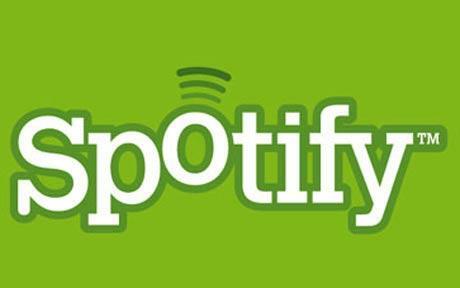 Spotify is readying up their own social features that will go into place soon on the website and these changes could see Facebook as the stepping stone to Spotify, rather than the core to all the social features. We suspect that after Zynga started drastically losing traffic, after Facebook users started to find games a little dull and unexciting, Spotify understood that keeping a core audience on their website and off Facebook will keep their website growing. 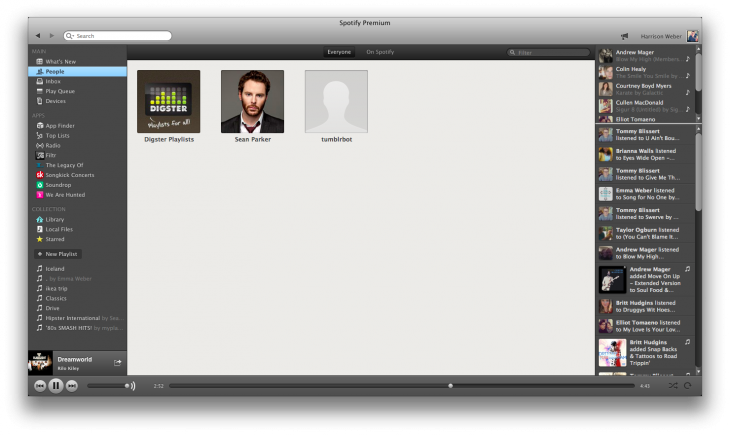 The ‘People’ tab will now become the ‘Follow’ tab and will show user profiles and music recommendations. Spotify has always used Facebook’s databank of information to show relevant content your friends have liked. The social features will also include a follower count, like Twitter and Instagram does. We wonder if music taste will gain popularity just as taking photos in the right filter did quite a while ago on Instagram. Weirdly, we found a small spec of Myspace era with one feature, the musician/friend connection that allows artists to receive messages and interact with their fanbase. With Myspace trying to stage a comeback, we suspect that Spotify have looked at this and want to keep music and social activity locked onto one website: theirs. Myspace doesn’t actually offer any streaming service right now – we suspect they will be sticking with the old digital method: one song-one payment. These new social changes will be out sometime in the coming weeks, we suspect. Spotify is testing them on beta stage right now. We wonder if Spotify will be looking to implement these social changes as a way of making revenue on the side from targeted ads.